The possibility of using existing pipelines rather than having to build new ones entirely is one tack Million is taking in arguing in favor of the economic feasibility of his idea. Financial viability is one of the issues that Utah State Engineer Kent Jones is pressing Million on as Million pursues a Utah water right for the project. 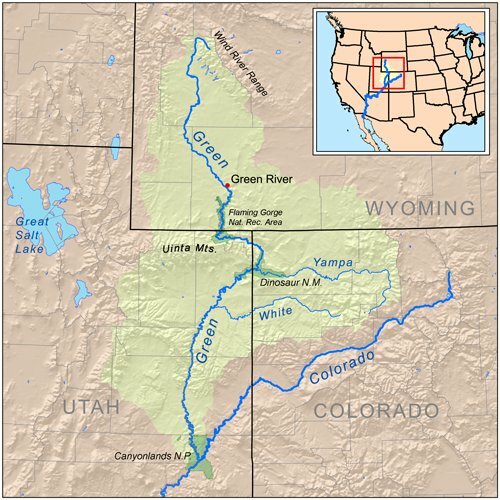 Jones heads the Utah Division of Water Rights, which last month heard from Million and numerous project opponents before deciding that it needed more information from Million. On Dec. 10, Jones wrote to Million, asking for a detailed engineering cost-estimate for conveying the water to the Front Range that demonstrates the cost would be physically and economically feasible. “This information is being requested since the state engineer has already established by policies adopted for this area a belief that the amount of water proposed under the application is not available for beneficial use as your application proposes,” Jones wrote to Million. Million said a recent federal environmental review found a surplus of water beyond environmental, recreation and other needs in the stretch of the Green River where he proposes his diversion, upstream of where it is replenished by the Yampa River. Million said his understanding is that Utah is concerned that a proposed pipeline project from Lake Powell would use some of its remaining compact allocation. But he said that doesn’t mean there isn’t a surplus available for other states, and his project would count against Colorado’s allocation.